I bought this coat at Brooklyn Industries on a particularly chilly winter day about a month ago. I've wanted a lightweight yellow jacket for what seems like forever and when I tried it on in the store, the sales guy inquired if I was from California. When I replied "no, why do you ask?," he chirped, "well that coat makes you look straight-up California cheery." I plan to wear the heck out of it all spring. Only a few more weeks until the blossoms bloom! P.S. Fashion blogging is definitely not my forte. 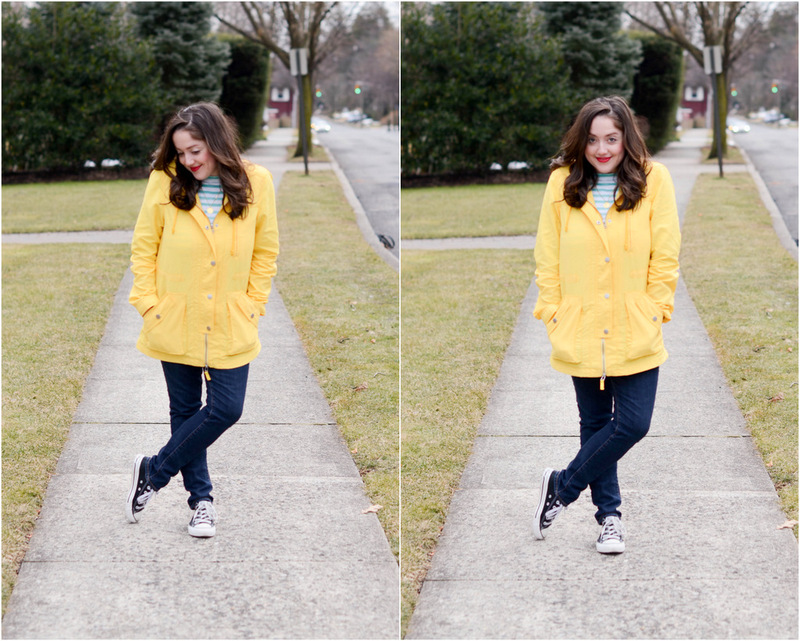 It always feels goofy to me, but maybe that's because I'm showcasing a bright yellow windbreaker? Someone want to buy me a pair of Louboutins? P.P.S My only other attempt at a style post two years ago. Thumbs up for blurry photos. Alli, I basically giggled through the whole thing. You are totally rocking that yellow jacket - LOVE it! That saucy face just KILLS me! you're adorable. and i'd rather read your style posts with you being you, rather than out of reach fancy clothes. thanks, care! 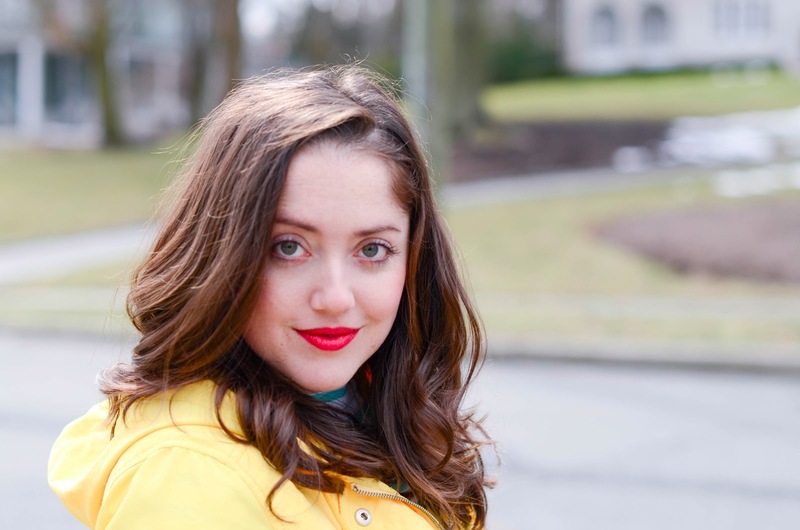 the style blogs I love most depict reality, not aspiration. You look adorable sistah! Your lips look perfect, too. I'm GLAD you bought the coat. It only took us 45 minutes to deliberate and try on about 10 different styles. I'd prefer your blog over any fashion blogger's any day!!! You are too cute, and I love that jacket! You are a fine fashion blogger. Keep at it! I've been looking for the perfect spring jacket -- this just might be it!